"Since I came, I felt the joy and responsibility to play for this club, these fans," he said. 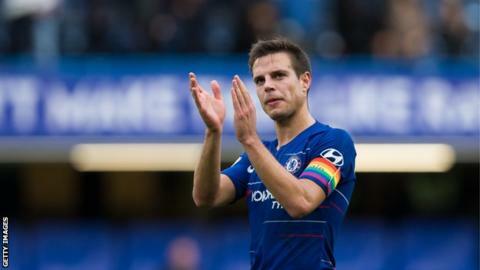 Azpilicueta's previous deal was due to expire in 2020 after he signed a three-and-a-half-year contract extension in 2016. Club director Maria Granovskaia added: "Cesar is one of our longest-serving players and has proven to be a fantastic acquisition over the past six years.